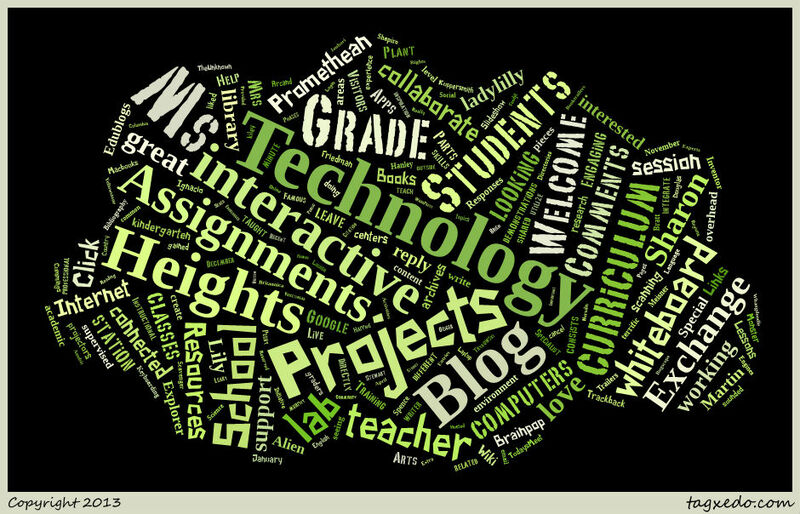 Click the grade level links on the left navigation section to see technology infused lessons and projects in all curriculum areas for elementary students. Special projects are archived on the right navigation section. Please leave a comment on the front page if you have a question or comment. I found some great ideas and educational resources on your blog. Thank you. I have been going to Heights for 6 yrs. Like, this blog was life. I still really like it. I am enjoying exploring your website. I have been teaching middle school technology but thinking of going back to elementary level. I have a few questions for you? What program do you use for your screen casting? Vimeo? Is there a free or education oriented membership? What do you find to be the advantages? What is the Fingerwings method of Keyboarding ? Is alphasmarts a separate keyboard … the link on you blog goes to a translation website. I love your blog, and it gave me so many different ideas for my own. Hi I’m Lily. I think your blog is very professional and it looks great. I love it!!! This is a great resource. I teach k-5 computer classes and I enjoy seeing what each grade level is doing here. I liked Mrs. Friedman’s Famous Inventor Slideshow and the Monster Exchange sounded like a terrific idea. I have looked at your blog MANY times and have gained inspiration from it. I am the technology teacher for over 300 3rd-5th graders and would love for my students to be able to experience collaborating with other classrooms outside our walls. We have 24 Macbooks and can connect with Skpye, Student Google Apps, through TodaysMeet, or any other way you may know of. I would love to hear from any of your classes that are interested! I am the instructional technology teacher at an American school in Indonesia. We are a small PreK-8 school with about 45 students total. Since we are so small, it is great to expand our community outside the school! Perhaps we can share our curriculum maps and do some projects together!